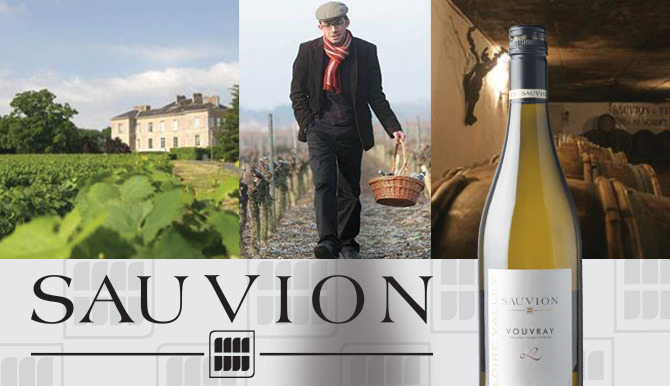 Long established in the Loire Valley, Sauvion provides wine drinkers with a pleasurable, handcrafted wine experience. From Vouvray to Sancerre to Muscadet, the wines are elegant yet easy to drink. In other words, pure pleasure! University-trained oenologist Pierre-Jean Sauvion, the fourth generation of his family to be involved in winegrowing and winemaking, sees himself as a “pleasuremaker,” not a winemaker. Sauvion is the #1 Muscadet producer in France. The Sauvion home “Château du Cléray” in the Muscadet appellation is the winery’s flagship. It has belonged to the family since 1935 and is one of the oldest estates in Sèvre et Maine.